What Does It Mean to Exercise Due Care? 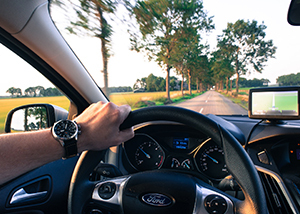 If you’ve been involved in a car accident or a traffic violation, you may have heard the term “exercise due care.” What does it mean to exercise due care? As a driver, you take on the responsibility to exercise due care. That means you are responsible or liable for the safety of yourself and anyone else on the roadway you are driving. Failure to exercise due care could result in a car accident, pedestrian accident or bicycle accident. The following is the Washington Rules of the Road for drivers to exercise due care. RCW 46.61.245: Drivers to exercise care. Notwithstanding the foregoing provisions of this chapter every driver of a vehicle shall exercise due care to avoid colliding with any pedestrian upon any roadway and shall give warning by sounding the horn when necessary and shall exercise proper precaution upon observing any child or any obviously confused or incapacitated person upon a roadway. If a person is found to have committed an infraction under this section within a school, playground, or crosswalk speed zone created under RCW 46.61.440, the person must be assessed a monetary penalty equal to twice the penalty assessed under RCW 46.63.110. The penalty may not be waived, reduced, or suspended. Fifty percent of the moneys collected under this subsection must be deposited into the school zone safety account. RCW 46.61.260: Driving through safety zone prohibited. RCW 46.61.269: Passing beyond bridge or grade crossing barrier prohibited. No pedestrian shall enter or remain upon any bridge or approach thereto beyond a bridge signal gate, or barrier indicating a bridge is closed to through traffic, after a bridge operation signal indication has been given. If you’ve been injured in a car accident, motorcycle accident, truck accident or any other personal injury accident you need a personal injury lawyer in Spokane on your side to represent you. Contact the trusted and experienced personal injury lawyers at Parke Gordon Law Firm to handle your case. Our law firm offers a free case review with a trusted attorney. This is your opportunity to discuss your personal injury case with a professional. Call now at (509) 482-7274 for a free consultation. We can usually tell you over the phone if you have a good case.